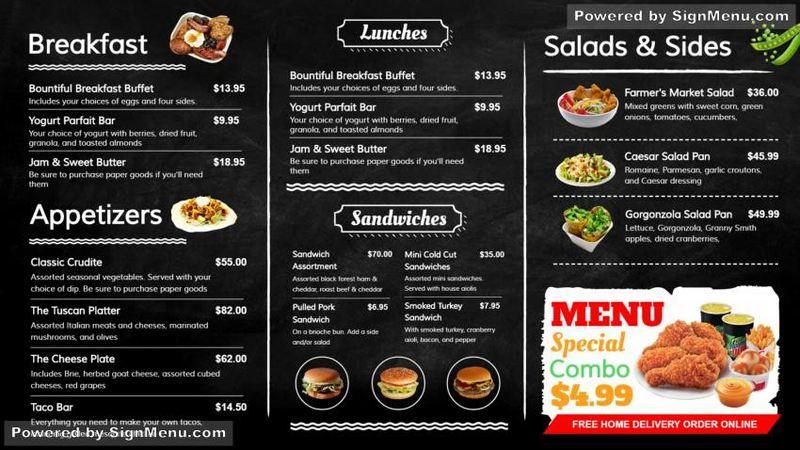 lack and white menu template with multi color special offer. Nice patterns and food images makes the menuboard looks stylish. Chalk fonts are used on the menuboard to make it look like a original chalk menuboard. The menu board is ready for edit and download.